Left-Hand Usage • Mac • Optical • PC • PS/2 • USB Part Number 904368-0914 > larger view Whether you are left or right-handed, here's all the comfort and familiar feel of an advanced mouse but with the convenience and precision of a trackball - and a design personality all of its own! 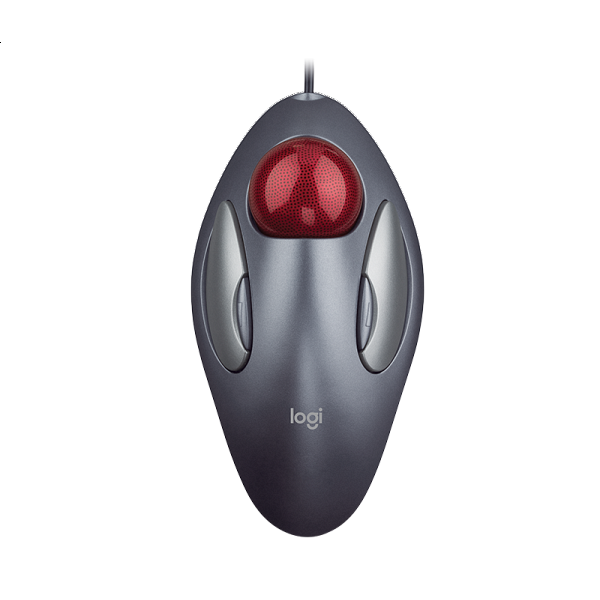 Innovative optical tracking in this sleek design delivers superior precision and smooth motion It's also resistant to the build-up of dust or grime Brilliant concept - and a perfect name - for something that fits like a mouse, works like a trackball אחריות ושירות במעבדת היבואן. 3 שנות אחריות.